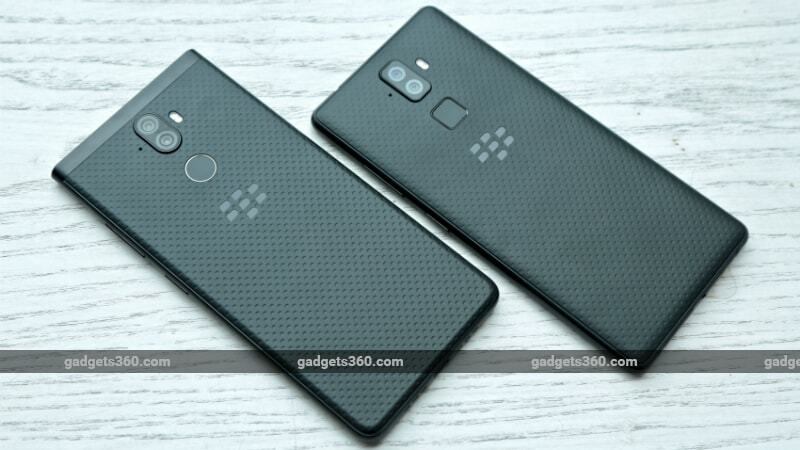 BlackBerry has launched two new smartphones in India, the Evolve and Evolve X, which the company claims have been designed and conceptualised in India, for Indians. Both smartphones will be sold in the country by licensee brand Optiemus Infracom. The Evolve and Evolve X feature full-HD+ displays, dual cameras, Corning Gorilla Glass 5, and Android 8.1 Oreo. Other highlights of both smartphones include security features such as an in-built password manager, a privacy shade, and root protection. Both models will be available only via Amazon India initially, and subsequently via offline retailers. The BlackBerry Evolve has been priced at Rs. 24,990 and will go on sale by the end of August. The Evolve X has an India price tag of Rs. 34,990 and will go on sale in the middle of September. We got to spend some time with both smartphones during the official launch and here are our first impressions. The Evolve and Evolve X have a rubberised plastic back that not only looks and feels classy but aids grip. Despite having a 4,000mAh battery, the phones are quite light and are easy to hold in one hand. The Evolve has a rectangular camera housing and a square fingerprint sensor, which is slightly bigger than the circular sensor on the Evolve X. The cameras on the Evolve X are placed in an oval housing. Our initial impressions of the fingerprint sensors were not positive. The sensors on both phones were accurate but slow and the setup process took much longer than we are used to. Face recognition is also supported by both smartphones but this was also sluggish in our limited experience. However, we will reserve our judgement on these features until we have had a chance to spend more time with the devices in person. The Evolve has rounded edges and the Evolve X is squared-off from the sides. Both phones have a textured power button and a volume rocker on the right edge, which are large, tactile, and well located. The left edge houses the SIM Tray and the USB Type-C port is present at the bottom. We are glad to see BlackBerry has not got rid of the 3.5mm headphone jack, which is present at the top. BlackBerry Evolve and Evolve X feature a 5.99-inch full-HD+ (1080x2160 pixels) IPS LCD display with an aspect ratio of 18:9, an oleophobic coating, and a maximum brightness of 500 Nits. In our limited time with the device, we found the display to be satisfactory, with punchy colours, and decent viewing angles. The two new smartphones run Android 8.1 Oreo with Blackberry's custom launcher on top. The company has added their own twist to Android with a host of custom features and applications. An app called BlackBerry Power Centre uses deep learning to analyse app usage and optimise battery settings accordingly. It also lets users modify RAM allocation for each app, and create custom battery profiles. The BlackBerry Hub brings together all communication apps such as Facebook and Twitter into a single app to help you navigate through your social media accounts. Security features on both smartphones include the BlackBerry Password Keeper app that helps users store passwords in a vault and generate secure passwords, BlackBerry Privacy Shade, which reduces the visible screen size to the area which you are accessing, and BlackBerry's DTEK application which allows users to manage app permissions. We will evaluate all these applications and features in detail in our full review. Features present on the Evolve X but not on the cheaper variant include Dolby Atmos and wireless charging. At the launch event in New Delhi, BlackBerry also announced a wireless charger which will go on sale alongside the Evolve X in the middle of September. On the imaging front, both phones feature a dual camera setup at the rear. The Evolve X has a 12-megapixel sensor with an aperture of f/1.8 and a pixel size of 1.4 microns alongside a 13-megapixel sensor with an aperture of f/2.6 and a pixel size of 1 micron. The Evolve in comparison has a 13-megapixel RGB sensor alongside a 13-megapixel monochrome sensor, with both having an aperture of f/2.0. Both phones share camera features such as a refocus mode, 4X autofocus, live bokeh mode, and slow motion video. On the front, both phones have a 16-megapixel fixed focus sensor with an aperture of f/2.0. BlackBerry smartphones have sometimes been criticised for their cameras and we will have to wait till we can properly test the new phones to see if they can change this perception. 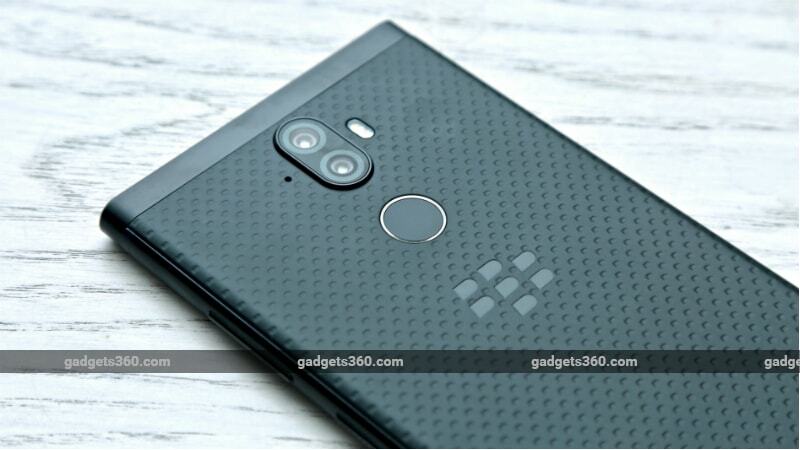 product BlackBerry Evolve price in India is Rs. 24,990, while the BlackBerry Evolve X will go on sale at Rs. 34,990.